St Giles’ has been a place for Christian worship for over 900 years. Our regular services are Sunday at 10am and monthly at 8am (BCP). Our monthly ‘4forAll’ service is aimed particularly at families. We are also one of the few churches in Durham where our choir sings Evensong on a frequent basis. 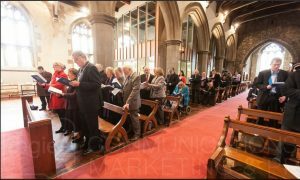 We also host a number of special services throughout the year (e.g. Remembrance Sunday; Carol services; Christingle service), please check our events page for details of these.